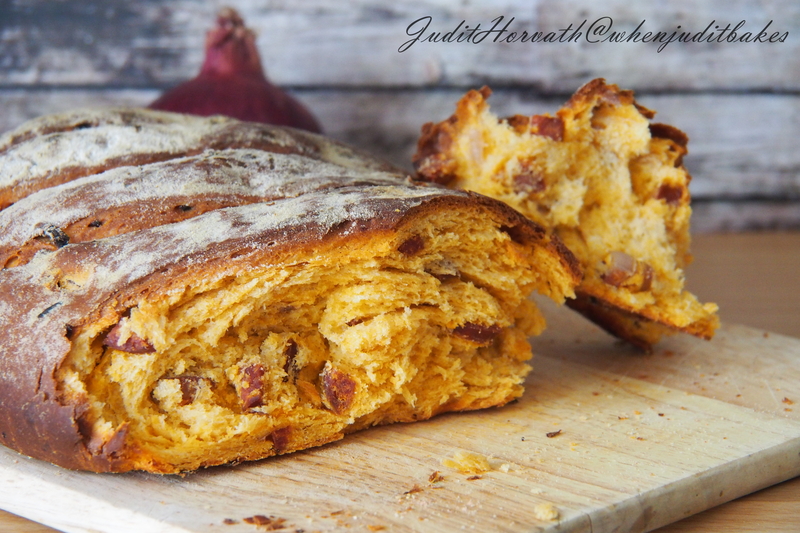 Homage to Home: Red Onion and Hungarian Sausage Bread | When Judit bakes...bread and better..
“Kolbasz” is the original name of a tasty Hungarian treat, sausage. There are different varieties in each region in Hungary and each has its own take on what is known as standard dry, smoked sausages in my native country. The mild, medium or spicy heat varieties are eaten as cold cuts with bread, used to flavor stews, soups, goulash or can be found in salads and other dishes like layered potato pie. The Hungarian sausages are made with ground pork, beef , lamb and/or venison , and spices including paprika, black pepper, white pepper, caraway, nutmeg, marjoram, salt, garlic, white wine or cognac. The ground sausage mixture is then stuffed into natural casings, the small intestines of pigs in long round coils or sectioned off into smaller pieces. In the days before refrigeration, sausage-making was done in cold weather at pig-slaughtering and the meat scraps (pieces that were not roasted and preserved in lard) went into the mix. When a domestic animal was sacrificed, every little piece of the once lived creature was being treated with respect, so they shall not die in vein. The uncooked stuffed sausages were allowed to cure overnight in the open air before using fresh or smoking. When used as seasoning it creates a unique additional layer of deep smokiness. In a mixing bowl, combine the flour, yeast and roughly bring this together into a reasonably wet dough with the warm water, then mix in salt. It should be dry enough to knead. Knead the dough for ten minutes on oiled surface until smooth. Add the onion and sausage (that was chopped and fried in a pan just a little bit before) to the dough and continue to knead for another minute. Cover the dough ball and let it rise for about an hour. 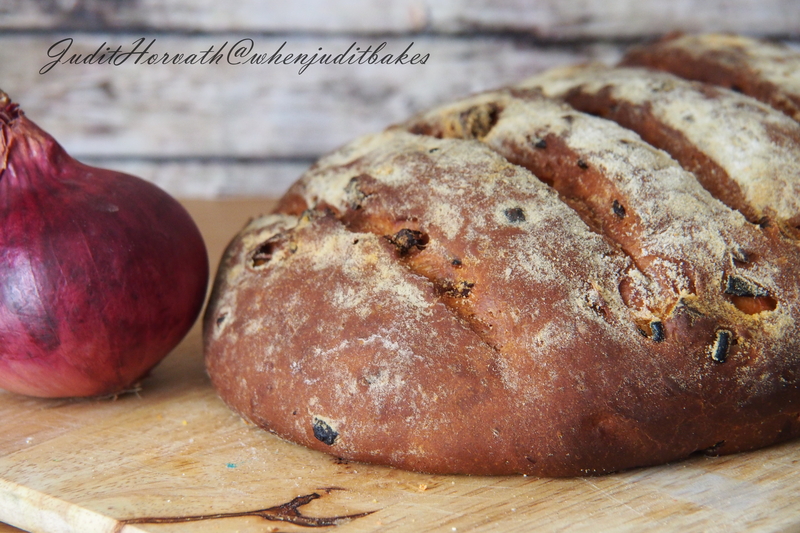 Roll out the dough and make a desired shape. Let it rise for another 45 minutes. Brush the raw dough with milk and then gently rub flour on the to, finally scatter over a pinch of pepper. Bake in pre-heated oven for 35-45 minutes. 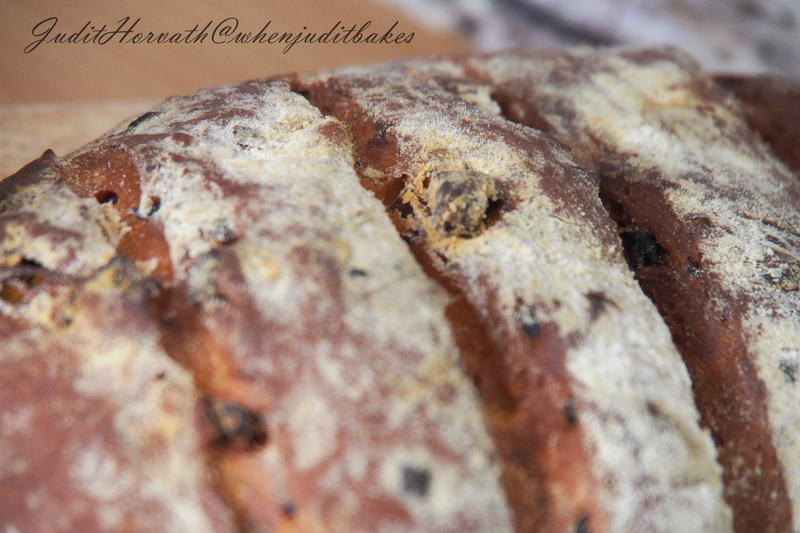 The bread is ready when it is golden brown and sounds hollow when tapped underneath. 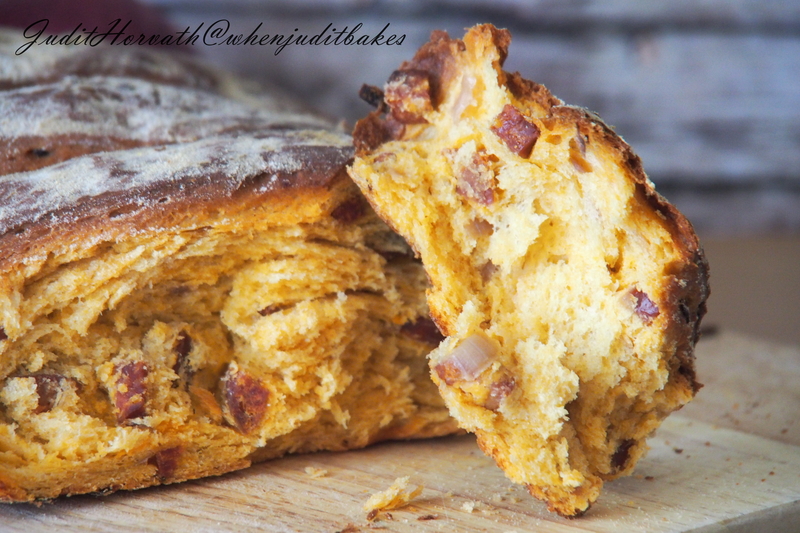 This entry was posted in Bread, Flavoured breads, Just Everything, Savoury bakes, Special flours and flavours, Yeasted bread and tagged hungarian sausage, sausage mixture, smoked sausages. Bookmark the permalink.